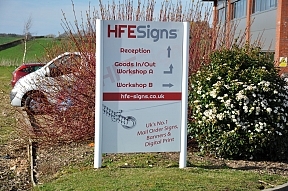 At HFE Signs Ltd. we are not like the traditional sign companies that operate within a close radius to their works. We are a modern day, internet driven, mail order company that operates nationwide and in some cases over seas. Our business principles are to offer everyone the benefits of cost savings both locally and nationwide due to our fast turnaround mail order philosophy. By working in this manner and utilising the internet we can send proof designs by email or ftp saving on crucial design time and reducing travel expenses. In general we have our proof designs with our customers within 24hrs and the goods out within 48hrs, in many cases sooner. HFE Vinyl Signs was founded in 1996 offering van signage and signage types utilising the cut vinyl methods. Business grew and with that a wide spectrum of experience with many bespoke requirements was gained. It was soon evident the business was no longer a ‘vinyl sign’ business but a ‘sign’ business and the word vinyl was dropped from the name. We moved to a larger facility in 2000 and then moved again to larger works in 2006. During these stages we progressed into the design and print market; this opened up a wide range of products we now offer today. 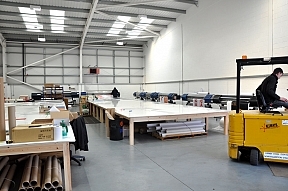 Print media can often be large format, particularly with PVC Banners and large rigid signs, we were soon to need a larger workshop and larger sales and design offices. The Limited company was formed on the 28th June 2006 (HFE Signs Ltd). 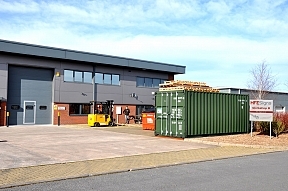 We continued our expansion plan and moved again in April 2007 and again in September 2011. 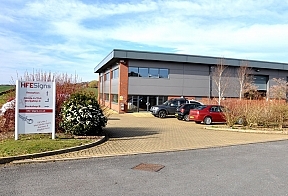 In February 2014 we expanded into a larger building to accommodate new equipment, more staff and allowing room for additional printers in the future. We closely monitor our competitors’ activities and pricing structure. In general our mail order company will bring savings from 35% to 80% off the price of a traditional signage company. Our lead time is often the main advantage, even though we have to post the goods! 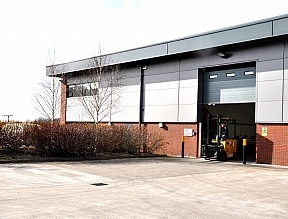 Over the years we have served the mail order market with outstanding success, we have a wide customer base including some of the larger PLC’s. We have supplied goods to the MOD, Hospitals, Schools & Colleges, Football clubs, Met. Police, RAF, SPAX Suspension, Tiger productions, ZIP Cars USA to name a few. Our minimum order charge is just £10 + VAT meaning we can happily serve customers with small orders. Our future plans are to keep up the good work, keep the price down, keep delivery time to a minimum and most of all listen to our much valued customers.